Is there any evidence of a historical tradition behind celebrating Yeshua’s birth at Sukkot? For a variety of reasons, some less valid than others, many people in Messianic Judaism have an aversion to celebrating the birth of our Master on the traditional Christian dates of December 25 or January 6. That aversion has inspired some Messianic communities to celebrate the birth of the Master on an alternate date in conjunction with the festival of Sukkot. The festival of “Tabernacles” provides an attractive option for theological reasons, such as: “The Word became flesh and tabernacled among us” (John 1:14). Sukkot is the season of our joy, an appropriate time to declare “joy to the world.” But is there any evidence of a historical tradition behind celebrating Yeshua’s birth at Sukkot? An early, Jewish, anti-Christian legend contains evidence that disciples of Yeshua used to celebrate his birth at Sukkot. 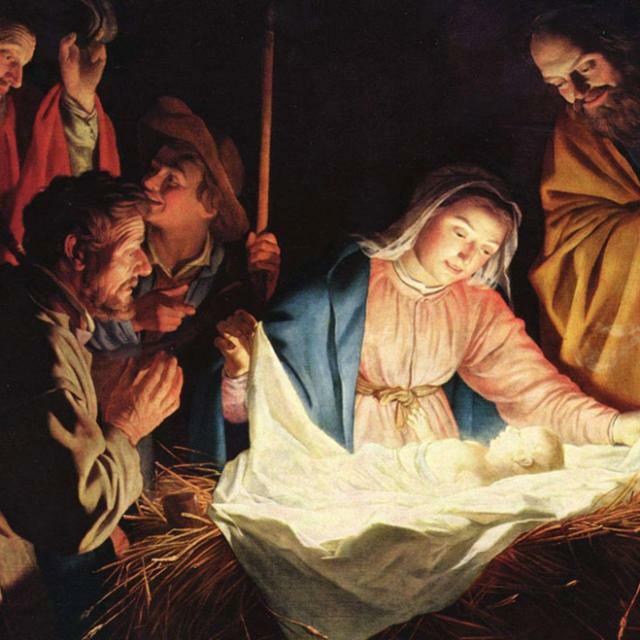 When was Yeshua born? The Gospel writers either did not know when the event happened or they did not feel the information was important enough to pass along. We can only speculate. Two centuries after it happened, Clement of Alexandria discussed the dating of the Master’s birth, but he did not mention December 25 or January 6 at all. Instead, Clement reported one tradition corresponding to April 20 on our civil calendar and another tradition corresponding to May 20. By the middle of the fourth century, however, the Roman church had begun to honor December 25 while churches in the East, Asia Minor, and Egypt observed Jesus’ birth on January 6. Both are late developments and unsupported by early tradition or biblical evidence. 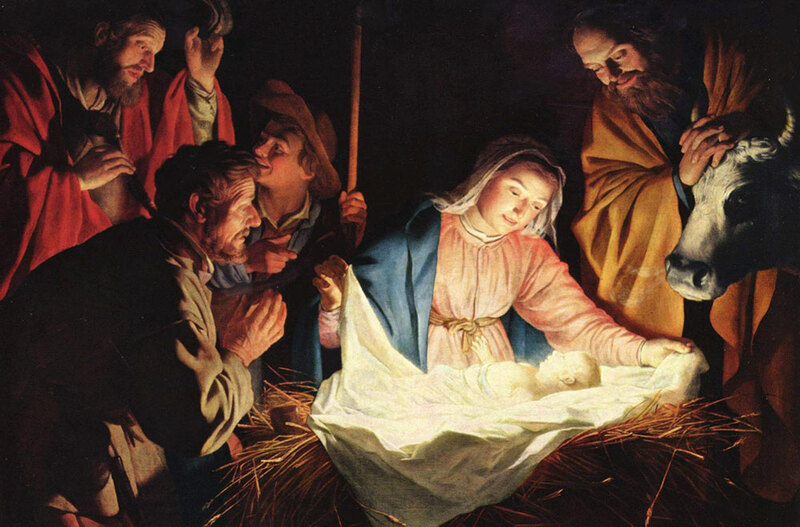 No trace of a tradition from the early Jewish believers connects the birth of the Messiah with December 25 or January 6. In any case, some practitioners of Messianic Judaism tend to gravitate away from the December 25 Christmas date because of its negative associations within the Jewish community and because of presumed associations with paganism. To replace the Christmas celebration, some believers within Messianic Judaism celebrate the birth of the Messiah during Sukkot (the Feast of Tabernacles), but without any real justification other than theological convenience. One often hears spurious claims that try to prove the Sukkot date based upon the time when Zechariah’s course of the priesthood served in the Temple. Other Sukkot-theory proponents claim, “Yeshua was born in a sukkah because the word ‘stable’ is sukkah in Hebrew.” These arguments are not at all convincing and fall apart under scrutiny. Is there any legitimate evidence of a sukkot birth, or is the birth of Yeshua at Sukkot just more Hebrew roots movement apocrypha? A loose “midrashic” line of approach advocates comparing the birth of John the Immerser to that of the Master. According to Luke 1:26 and 1:36, the conception of the Master followed that of John the Immerser by six months. If so, Yeshua’s birth should also follow John’s by the same interval. If one could determine when John the Immerser was born, he could determine when the Master was born. In the Gospels, John the Immerser comes in the role and spirit of Elijah. Jewish tradition maintains that Elijah will appear at Passover to announce the coming of the Messiah. For that reason, we read Malachi’s prophecy about the coming of the Messiah on the Sabbath before Passover, and Jewish homes set a place at the Passover Seder table for Elijah.3 If John the Immerser was “the Elijah who is to come” (Matthew 11:14), is it not reasonable to assume that his birth took place at the “appointed time” of Passover? And if John the Immerser was born on Passover, then the Master should have been born six months later at the onset of the Feast of Tabernacles. Yeshua was born in Bethlehem. Perhaps Joseph and Mary planned their trip to Bethlehem to coincide with the annual pilgrimage to Jerusalem. The gospel indicates that they were scrupulous to attend the pilgrimage festivals in Jerusalem, and traveling with a pilgrimage caravan from Galilee could have provided them safety on the journey. The pilgrimage might also help account for the no-vacancy signs at the local inns in Bethlehem. Eight days after the baby’s birth, Joseph circumcised the child. On that day, they gave him the name Gabriel announced to Mary at the time of the conception, the same name an angel revealed to Joseph in a dream. The last day of the Sukkot is an additional festival day that the Torah calls “The Eighth Day” (Leviticus 23:36, 39). If Yeshua was born on the first day of the feast of Tabernacles, they must have circumcised him on the day called the “Eighth Day,” thereby literally fulfilling the scripture which says, “On the eighth day the flesh of his foreskin shall be circumcised” (Leviticus 12:3). Admittedly, this is all speculative. The Gospels do not actually indicate that John was born on the first day of Passover, that Yeshua was born on the first day of Sukkot, or that he was circumcised on the eighth day of Sukkot. Nevertheless, there may be evidence that the early Jewish believers thought so. A medieval collection of anti-Christian Jewish folklore titled The Story about Shim’on Kefa (Aggadta DeShim’on Kefa, אגדתא דשמען כיפא) preserves Jewish traditions about the early Jewish believers and early Christians.5 Aggadta DeShim’on Kefa is similar to other fictional, Jewish apologetic legends like Toldedot Yeshu which contain anti-Christian legends that originated in the early days of Jewish-Christian polemics. In the story, the notable sages of the day are distressed by the number of Nazarenes among the Jewish people, and they are eager to find a way to easily distinguish between believers in Yeshua and other Jews. The story is set in the mid-apostolic era (circa 60 CE), but in reality, it better reflects second- and third-century interactions between Jewish believers and the larger Jewish community. In the story, the sages use the influence of a sage named Shim’on Kefa (Simon Peter) to help push Jewish believers away from Torah observance and Jewish identity. Their goal is to separate the believers from the rest of Judaism. With Simon Peter’s help, the sages encourage the Jewish believers to abandon Sabbath observance and circumcision, and they prescribe a new liturgical calendar for the Jewish believers. This important and fascinating legend offers a glimpse of the sect of the Nazarenes from the perspective of mainstream Judaism. It attests to a collective, community memory of the Nazarene believers as Torah-keeping Jews who, at one time, were virtually indistinguishable from the rest of the Jewish community. The legend also tries to explain the evolution of Christianity as an anti-Jewish religion outside of Torah observance. The fictitious story attempts to credit the leadership of the Jewish community with the creation of Christianity, but what kind of Christianity is this? Church history tells us that second-century Christians (the so called Quartodecimans) did observe the day of the Master’s death on Passover (Nisan 14), and that all Christians observed the day of his ascension forty days after his resurrection, but who celebrated the day of his birth on Sukkot? Who celebrated the day of his circumcision “on the eighth day” of Sukkot? The source text behind Aggadta DeShim’on Kefa seems to reflect an era before the Christian custom of celebrating his birth in conjunction with the winter solstice. The legendary story remembers a time when believers still kept the biblical festivals but attached Messianic significance to their observance of the Jewish holy days. Since the believers in the story are Jewish, the legend may provide us a glimpse of the early Jewish believers celebrating the Master’s birth at the festival of Sukkot. If so, it offers some justification for reviving that lost tradition in the Messianic Jewish movement. The LXX of Genesis 18:14 translates the Hebrew mo’ed (“appointed time,” מועד) with the Greek kairon (καιρὸν); Luke uses the same Greek word in 1:20. See the Delitzsch Hebrew English Gospels on Luke 1:20: “וְהֵם יִמָּלְאוּ בְּמוֹעֲדָם”. See Torah Club: Voice of the Prophets commentary on Haftarat Shabbat HaGadol. Compare Luke 2:14, 19:38; Mark 11:10. See Torah Club: Chronicles of the Messiah 1236-1238 and 1249-1250, notes 26-27. Aggadta DeShim’on Kefa in A. Jellinek, ed., Bet ha-Midrasch (Vienna: Brüder Winter; Herzfeld & Bauer, 1873 [available online at www.hebrewbooks.org]), 60-62. For an English summary of the contents, see Alfred Edersheim, “Haggadah About Simeon Kepha” in The Life and Times of Jesus the Messiah (Peabody, MA: Hendrickson Publishers, 1993), 1057-1059. See also Toby Janicki, “Remembering Yeshua’s Chief Disciple: The Apostle Peter in Rabbinic Literature” messiah magazine 94 (2007): 22-23, 32. For an English translation of Aggadta DeShim’on Kefa, see Wout Van Bekkum, “The Rock on Which the Church is Founded” in Saints and Role Models in Judaism and Christianity (Leiden: E. J. Brill, 2004), 290-310. Adapted from: Messiah Journal # 111, Fall 2012/5773, First Fruits of Zion. 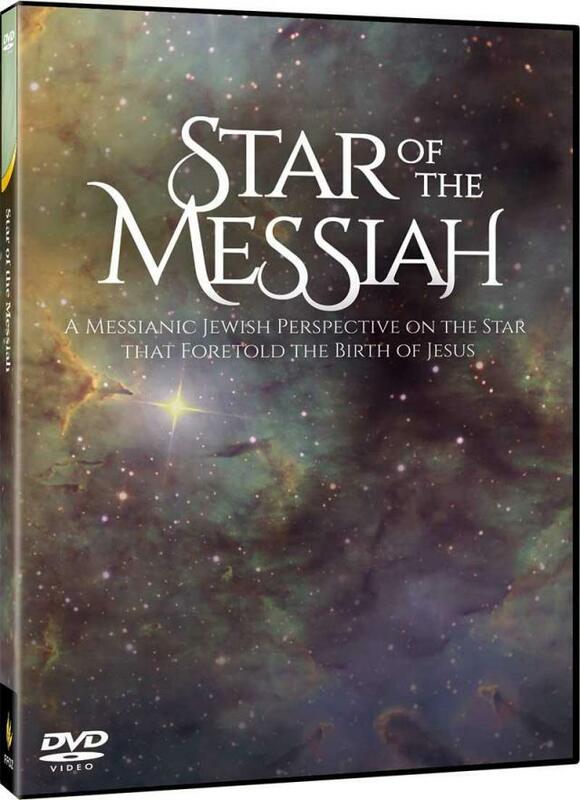 In this compelling visual presentation, we look at the ancient stars, the Hebrew Scriptures, Jewish folklore, and documentary evidence from the ancient Near East to uncover the identity and significance of this fascinating phenomenon. Available on DVD, Video Rental, and Video Download.